We have been working in the Henley-in-Arden area since 1994. We don’t have a customer facing office in Henley anymore, but Pat Phillips, will be able to help you with any rural or residential property or land queries. Pat is fully supported by our main office team in Rugby. Henley-in-Arden (also known as Henley), is a small friendly town in Warwickshire. It got its name because of its location in the former Forest of Arden. It has a population of just over 3,000 residents. 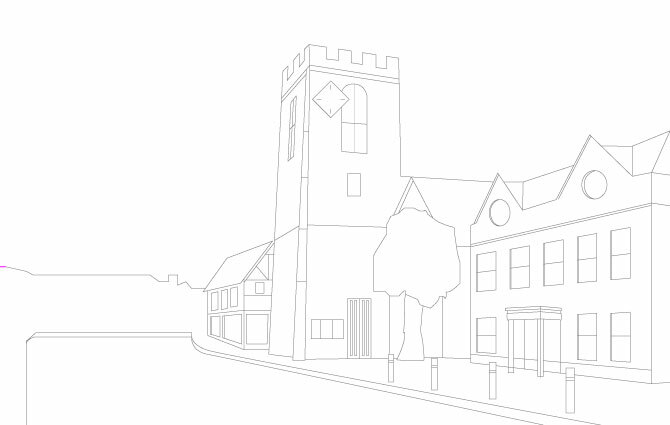 Henley has a wide range of beautiful historic buildings, some dating back to medieval times. You can see a vast array of architectural styles along the quaint Henley streets. The 1 mile long High Street is a conservation area, to help protect its beauty. The town comprises of two parishes; Henley-in-Arden and Beaudesert. The river Alne is the boundary and separator between the two. Henley is only 7 miles from Stratford-upon-Avon and 18 miles from Birmingham. The large towns of Kenilworth and Leamington Spa are also very close by. It is possible to get into London on the train to Marylebone or Euston stations, in around 2.5 hours. Famous for its Henley Ice Cream, the town has become popular with families and executives because of its beauty, rural location, and designer shopping boutiques. It also has a great range of schools, including the very high performing Henley in Arden School, with its above national average academic results.